Moments aftre sunset clouds formed in the Caldera de Taburiente in La Palma, Canary Island, move in a time-exposure image. The program begins with the first International Astrotourism Conference, on September 25-27th. This is the first meeting of its kind, and it will bring together travel agents, tourist boards, scientists, environmentalists, Starlight Guides and others, to pool their experiences and reflections on the astro-tourism. A total eclipse of the moon begins at 1:11 am on September 28th. The excursion to view the eclipse from a dark-protected area will leave late on the evening of the 27th. It will include an optional moonlit hike overlooking the magnificent Caldera de Taburiente, a chance to view the eclipse through small telescopes and to photograph it, and a visit to the international observatory at the Roque de Los Muchachos. It promises to be an unforgeable experience. 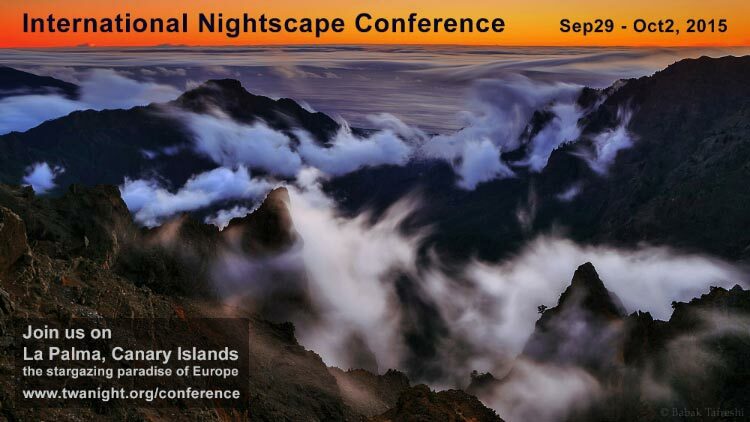 From September 29th to October 1st Santa Cruz de La Palma will host the very first Nightscape Conference, organised by The World at Night (TWAN). TWAN is an international program run by nightscape photographers, which brings together photographers and other artists who focus their activity in the night sky, the astrophotography landscape and anyone who works with the connection between art, night photography and astronomy. On October 2nd there will be a special photographic excursion which will take participants on a guided tour of the north west of La Palma, visiting the Roque de los Muchachos Observatory with special stops in the most photogenic corners of this extremely photogenic island. Astrofest concludes with the 4th AstroMaster La Palma, an international advanced workshop on night landscape photography and timelapse. This runs from October 3rd to 8th,and is promoted and organized by Ana Garcia of AstroLaPalma with lessons by internationally known nightscape photographers from TWAN. The course will begin with a brief introduction for mid-level practitioners followed by advanced theory lessons and outdoor practice sessions. 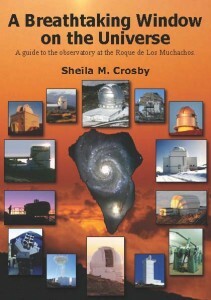 AstroMaster is the most successful workshop in night photography in La Palma. It attracts professional and amateur photographers who are fans of the night sky from around the world. The beautiful island of La Palma is the perfect place for this fiesta because it has the best night sky in Europe: dark, clean and calm. Just ask the people who chose it as the site for the world’s biggest single mirror telescope, Gran Telescopio Canarias, along with the other 16 telescopes which make up the Observatory of the Roque de Los Muchachos. La Palma is also famous for it’s beautiful scenery in the daytime. On a clear day from the island’s summit you can see 143 km to Tenerife, and on a clear night you can see two million light years to the Andromeda galaxy.